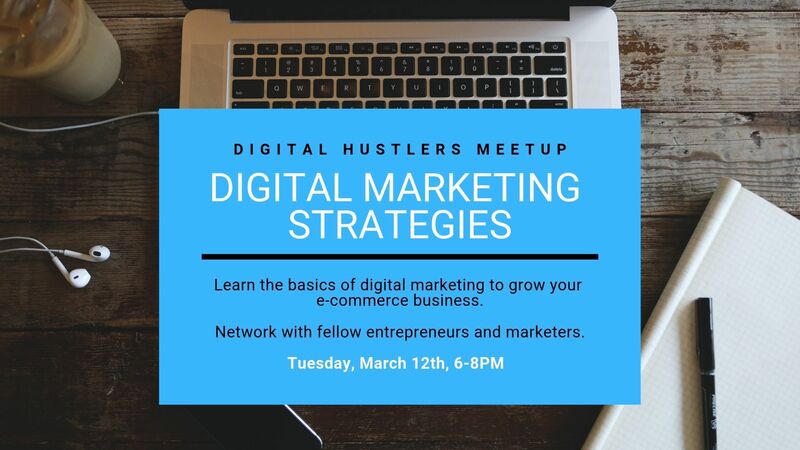 Calling all the Digital Hustlers in NYC! In this group, you will learn about the latest 2019 digital marketing trends, gain new business strategies, and create lasting relationships with fellow Marketers and Hustlers. Connect and network with brilliant Hustlers like Etsy sellers, eBay traders, drop-shippers, and tech startups. Master the minds of experts in digital marketing, social media marketing, Facebook ads and many more! All levels of expertise are welcome including the curious ones. We encourage growth of business and growth of individuals. Let's Hustle Without Any Boundaries.